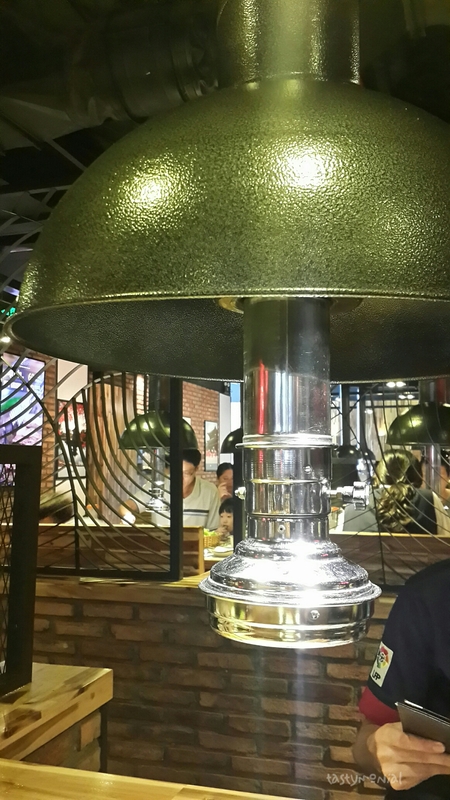 If you go to a mall in Ho Chi Minh City, you will definitely find this Korean BBQ chain restaurant. It is most likely full with customers. We decided to try it since we love Korean BBQ. When we came it was full so we need to wait for table. While waiting, they gave us the menu so we can look through it and order first. After about 10 minutes they showed us our table and we gave them our order. The place is quite spacious, and a bit noisy. Most of the customers are family or group of friends. 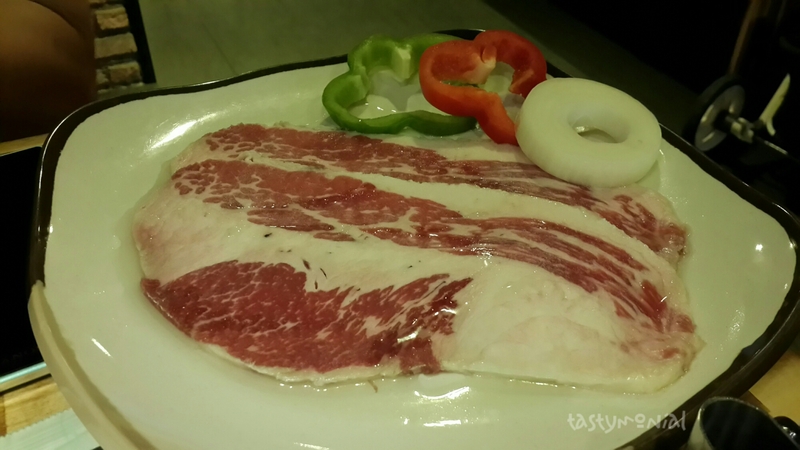 We tried Gogi House in Vivocity mall district 7. This marinated short ribs or kalbi in Gogi House is good, but not as good as the one in Chung Gi Wa. It didn’t as juicy as I thought, but it actually still good. If you haven’t tried marinated kalbi in other korean bbq restaurant then maybe this one is tasty enough. Next thing we ordered was Beef Brisket. We never ordered this before in korean bbq, but since we heard our friend always said it’s good we decided to try it. Using the same rule for grilling meat, I did the cooking and it turned out great. Beef brisket has some dark color from the grill but still very soft, and it tasted finger-licking good! 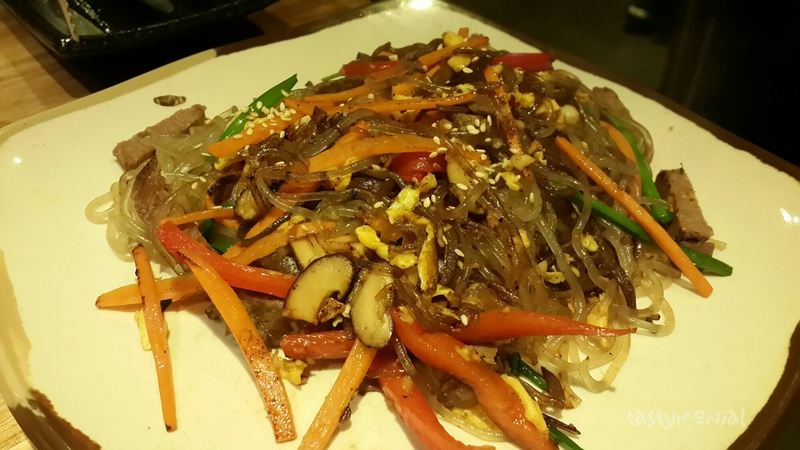 If you go to Korean BBQ place, don’t forget to order their chapchae (fried glass noodle in soy sauce). The noodle here is actually taste good, but it’s too oily, and the sesame oil taste was too strong as well. Although… I still finished it lol (Yes, I’m a fan of fried glass noodle!). The other thing that we ordered was pork cheek (but I forgot to take the picture T.T). If you haven’t known it yet, pork need to be cooked well-done. It is not recommended to cook pork medium (or even raw!). So for this one, I waited for a while until it well cooked. The grilled pork cheek is not bad but not great as well. It is not as juicy as I imagined, but still taste good. Overall the food in Gogi House is so-so for me. The price is still reasonable though. 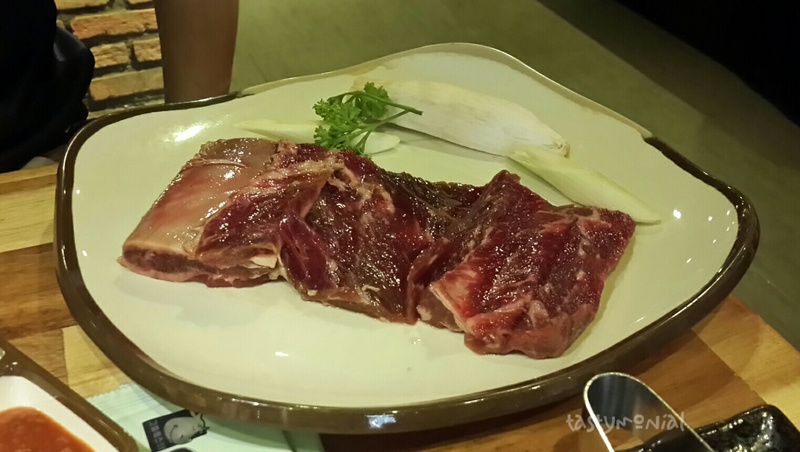 And they also have huge variation of meat on the menu. 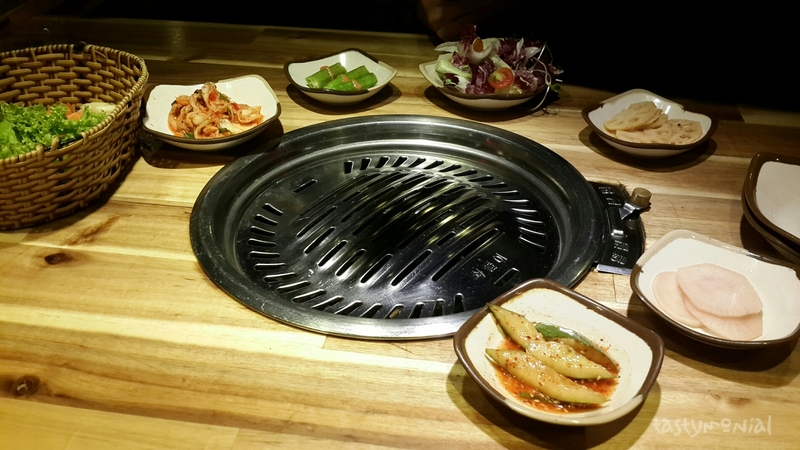 If you’re not as picky as I am for Korean BBQ restaurant, I think it’s quite good to go there.